A team of investigators led by researchers at the University of Toronto has identified a set of prostate cancer biomarkers for use with non-invasive liquid biopsies for the identification of aggressive tumors before surgery. 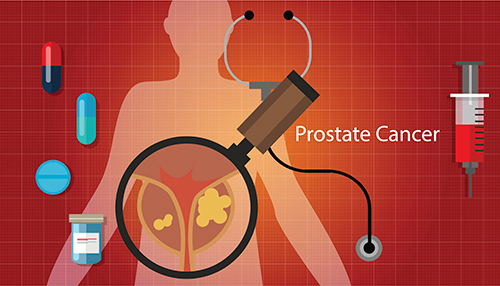 This new study—“Targeted proteomics identifies liquid-biopsy signatures for extracapsular prostate cancer”—published recently in Nature Communications advances the quest to develop a precise, non-invasive diagnostic tool that can address the global clinical dilemma of over-treating slow-growing, low-risk prostate cancers in men that may never need to be treated. The current gold standard for diagnosing prostate cancer is the use of the PSA test and needle biopsies. However, the latter technique may not detect hidden tumors or cancer that has already spread beyond the prostate gland. “A fluid-based biomarker would be ideal … to spare patients with indolent (slow-growing) disease from unnecessary procedures, while identifying and treating those who would benefit from treatment intensification,” noted lead study author Yunee Kim, Ph.D., who did much of the work as a doctoral candidate in Kislinger’s laboratory. The researchers used urine samples containing prostatic secretions from 210 patients after they had undergone digital rectal examinations (DRE). The DRE is the standard clinical “first step” to determine the need for further diagnostic testing of the prostate.